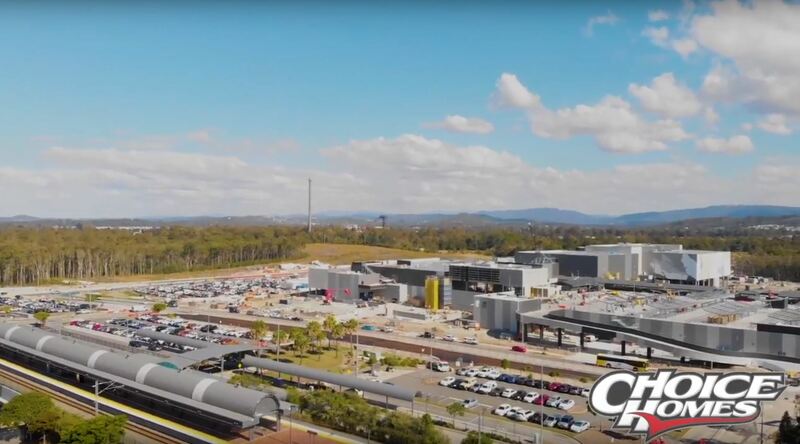 It may be known for its theme parks but Coomera could soon be attracting people from Brisbane on the hunt for a shopping hub. 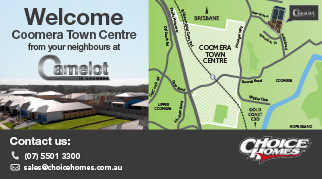 The long-awaited opening of the $470 million Coomera Town Centre on Thursday will see shoppers able to take advantage of the centre’s 59,000 sqm capacity which, while all retailers won’t be operating initially, will eventually be home to more than 140 stores. The new Westfield shopping centre will feature cinemas, a huge outdoor leisure space with roller skating rink, Betty’s Burgers and a putt putt beer garden. And, according to a business identity who witnessed much of the growth of Robina Town Centre at the opposite end of the Coast, it could lead to Coomera being reinvented as a retail paradise. Wayne Atkinson, former president of the Robina Chamber of Commerce, said if transport options were there the new centre could attract attention from people happy to ride the rails from as far away as Brisbane in order to satiate their retail fix. “It will grow the area,” he said. “The timing of the centre’s opening is probably right in terms of the development in the area. Mr Atkinson said that when Robina Town Centre opened and expanded it was attracting people from Tweed Heads coming north to check out the shopping. Source: Gold Coast Bulletin.